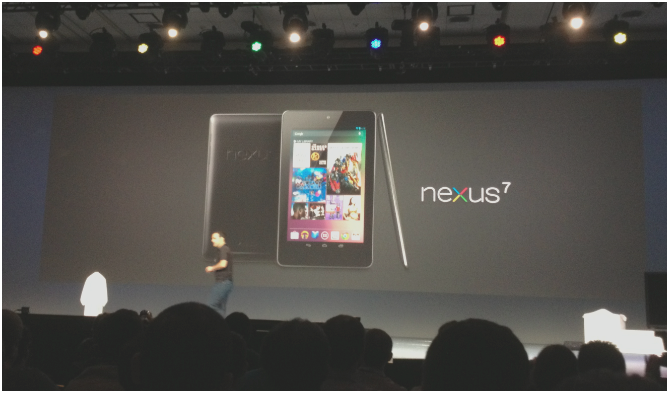 Google has announced the Nexus 7 tablet, a 7″ device running Android 4.1 and made by Asus. It has a Tegra 3 quad-core chip with a 12-core GPU, 1280×800 HD display. It also features WiFi, Bluetooth and NFC, with a nine hour video playback battery life. It also has a front-facing camera. It weighs 340 grams. The Nexus 7 tablet is clearly a Kindle Fire competitor that Google says is designed to display Google Play content like magazines, movies and more in the best way possible. 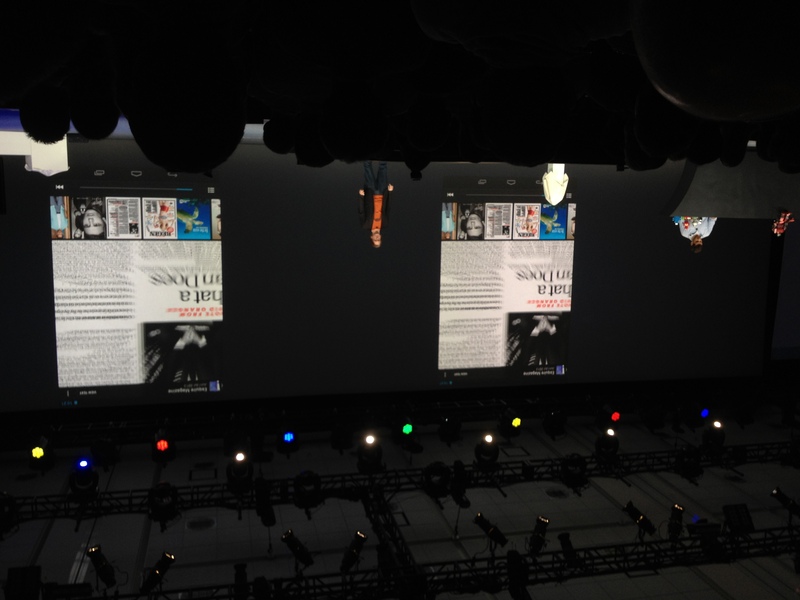 The Nexus 7 ships with Chrome as its official browser – the first Nexus device to do so. The tablet also features dynamic widgets that help you discover content to buy right from the home screen. There is a ‘music match’ widget, for instance, that lets you identify a song much in the way that Shazam does. There is a new Google Maps experience shipping with Nexus 7 that allows you to see inside locations that you’re traveling to. It also displays a variety of information about the location hovering over the map. The interior views can be displayed in compas mode as well, allowing you to take a virtual tour of certain interiors.